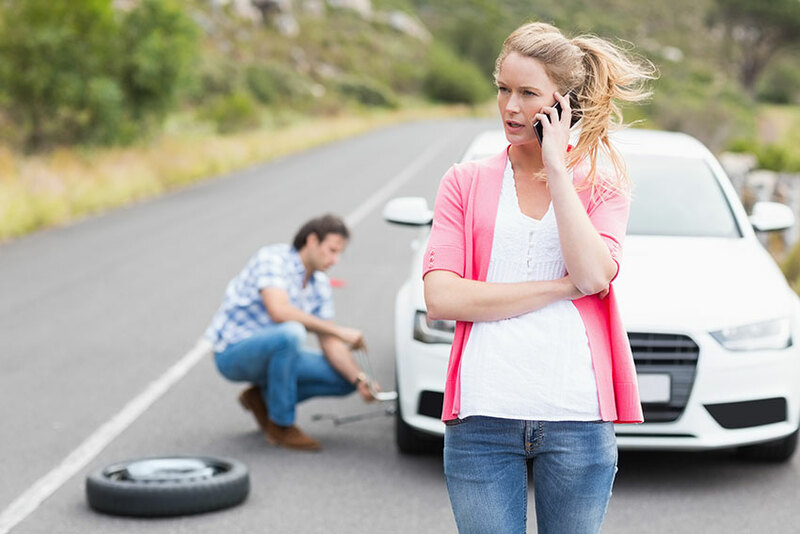 Canadian Tire Roadside Assistance is one of the top emergency roadside assistance services in Canada. It has an extensive network with over 100,000 tow trucks run by third-party service providers throughout Canada and the United States. Canadian Tire offers every possible emergency roadside service, including towing, lockout, fuel delivery, battery boost, extrication/winch and flat tire change. It covers anyone driving your registered vehicles. With Canadian Tire Roadside Assistance, you are guaranteed to get help when you need it most. Canadian Tire offers two different plans: the Gold plan and the Silver plan. With both plans, you get a 24/7 coverage, 365 days a year. With both Gold and Silver plans, you are guaranteed roadside assistance no matter where you are driving in Canada or the continental United States. It doesn’t matter who is driving your vehicle – they get the same coverage that you do. How often and how far do you travel? What’s the type of vehicle for which you want to buy roadside assistance coverage? How many people in your house are of driving age? The Gold plan costs $99.95/annually, with each additional vehicle costing $69.95/year. You can make a maximum of five annual service calls with the Gold plan, which is slightly above the industry average. You are offered a towing service of 250 km per service call, as well as a free fuel delivery service AND emergency fuel supply. The extrication or winch consists of two tow trucks and two service providers for around sixty minutes. The Silver plan costs $69.96/annually, with each additional vehicle costing $37.95/year. You can make a maximum of three annual service calls with the Silver plan, which is lower than the industry average of 4 service calls per year. You are offered a towing Service of just 10 km per service call as well as a free fuel delivery service. The extrication or winch consists of one tow truck and one service provider for around twenty minutes. 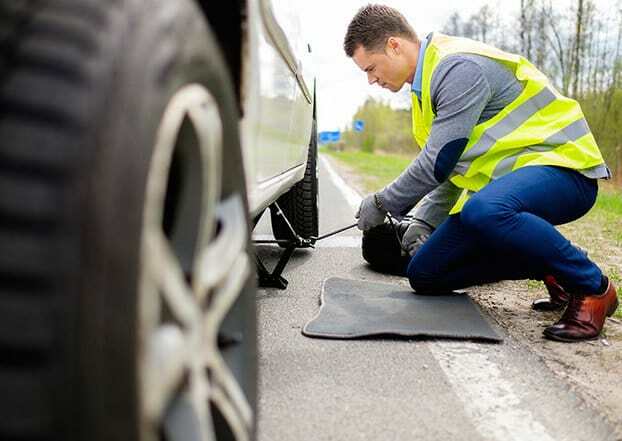 Regardless of which roadside assistance service you choose, what’s most important is to be assured that you are covered around the clock, no matter where you are driving in Canada. That’s what you get with Canadian Tire Roadside Assistance. Before selecting a plan from Canadian Tire, compare them and commit to the one that you think would give you absolute peace of mind. We suggest subscribing to the Gold plan, simply because it offers better features at a slightly higher cost, compared to the Silver plan. terrible service. I called in the mooring today and said to me that they will come in between 430 pm to 500. Accordingly I planed for other works. All on a sudden they call in my home phone number at around 1:30 pm and said that they are near my home. I was out of home right after our conversation because my schedule is 430 to 5 pm. My daughter informed me from home that there was call from road side assistance. i called Canadian tire road side assistance around 1:45 pm and the lady told me that they came to my house at 130 pm and I have to book the schedule again. I was middle of the work and all on a sudden i have been told that as because i missed the schedule (??? ) they don’t know when I will be scheduled again. Then I told the lady that I want to talk to your higher authority. She transferred the line to another person and that person told me that road side assistance people will come to me anytime after 5 pm. I called them again at around 615 pm . They replied that I have to wait 2 hours more . This is ridiculous and totally unexceptionable and unprofessional service. I have been a Road Side Assistance member for a number of years and have the gold plan. On Friday Jan. 12, 2018, I was pulled over by the police near 2092 Upper Middle Road East in Oakville and I told I turned right on a red light (true) and apparently that was not allowed (I did not see the sign). I turned off the engine (why waste gas) and kept the lights on while the officer wrote out the traffic ticket. Net effect: flat battery. I do not have a cell plan but the officer was kind enough to phone road side assistance and she was told I would have to wait 1 – 2 hours. I could not believe it. It was pouring rain which changed to sleet and then became a full blizzard and I waited and waited. A car does not have good insulation with temperatures sinking rapidly. Within 30 minutes I was cold. At the 1 hour 30 minute I could barely feel my toes. I saw ahead and saw a sign saying “open” and went into JazAuto…a used car dealer. The dealer let me borrow the phone and I telephoned to ask “Where was the truck?”. I was told it would come in 30 minutes if the weather did not get worse (it did). I was not amused because I had waited and waited. I ended up waiting another 1.5 hours and still there was no tow truck. The dealer was kind and let me stay in the building (otherwise you might have had someone with severe frost-bite or a corpse) and at 4:30 he volunteered to give me a boost. I had waited at that point 3.5 hours and no one turned up! I then took 2 hours to get to Simcoe as the weather was horrible. As soon as I got there and tried to calm down my husband, I telephoned Road Side Assistance and stated that I had finally received a boost and a tow truck was no longer required. The person on the other side said okay she would cancel the request. I asked when did the tow truck come. She told me I was still on the waiting list (5 and a half hours later) and could not tell me when the tow truck would have come if I was still on the side of the road. I know the weather was bad but I am not an idiot either. I realize you can send out a tow truck on Highway 401 or on residential roads and service more people per hour than me, by myself half frozen on a side street with few places to seek shelter. There comes a point where there is a duty of care required beyond the profit motive. Apparently paying my membership over the years does not count. Currently the minimum wage in Ontario is $14/hr. I am cutting you a break and not charging you my usual hourly rate but I am expecting a cheque made out to me for $14 x 5.5 hours of no service = $77.00 I did not deserve to be left out in the cold literally. If there was no plan to help me (even if I got a membership for this reason), then I would have appreciated knowing that rather than being alone and cold and my husband terrified because he could not understand why a 3.5 drive would take more than twice that time. If you are considering getting a membership, I would advise caution. I do not know if CAA is better or not but I am not impressed. Total waste of money you don’t even get a single service what they are mention on website and customer care was horrible they don’t know what this service regarding and I would recommend to go for Different option instead of wasting your dollars on them.Total useless. Thanks Canadian tire for sending Jesse from aaa. He was able to get our car out of a tough spot professionally. Sorely needed service on a day like today. My experience with Canadian Tire Roadside Assistance started Sunday morning because I was supposed to have my car back Sunday morning to have a water pump installed. This morning I went out to start the car to drive to Canadian Tire Newmarket to finish the work they had done Saturday. Saturday the car would not start and I was assured that the problem was fixed by Canadian Tire, but in trying to start the car nothing happened, so I called Canadian Tire Roadside Assistance around 8:05 and explained I need to have the car in Newmarket by 9 am, I was told 45 minutes. I called them back after an hour and a half and they said maybe three hours. I said this is unacceptable and a attendant said he would call Abrams and call me back. I waited and waited but no call back from Roadside so I called Abrams and they said one hour. Two hours later the driver showed and took my car to Newmarket for repairs. I have been considering Cdn Tire’s roadside assistance but, after reading these comments, I will stick with CAA. Sometimes I have had to wait for 30 minutes, sometimes only 5. They obviously have a better network than Cdn Tire. CAA calls you back to let you know how far away the tow truck is. They have been very courteous and professional over the years. I’ve had a Canadian Tire Roadside Assistance Gold membership for the past 22 months. This morning my truck would not start. I was pretty certain it was a dead battery. I called Cdn. Tire R.A. and was told a truck would be dispatched out of Niagara Falls. (I live in Fort Erie) and would be aprox. 45 minutes. After an hour and 45 minutes a called again. I was told they had a issue with the truck, but would be another 20 minutes. After another hour and a half, I called again. After a short hold, I was told that the rep had spoken to the 3rd parties dispatch, and would be another 15 minutes. I told the rep. to remove any auto renew option from my account, and made it clear that I would not be renewing my membership. His reply was, “I understand, thats business”. As it was; the tow truck driver ended up calling me at 2:15 in the afternoon, to confirm that I still needed assistance. He was in Grimsby, 45 minutes away. He arrived at 3pm to perform a 60 second boost. 5.5 hours after my first call for service. I’m switching to CAA in 2 months. I have a Canadian Tire Roadside Assistance Gold membership and I’ve had to call for a tow truck a couple of times. The first time I called them I was told there would be a tow truck in 45 to 60 minutes. I had my 3 year old with me(which I told them), stopped on the side of the QEW, weather was getting bad, it’s winter, snowing, cold, no heat in the car, late at night and nowhere near home. It took them 3 hours to get there. I kept calling them every now and then and they kept telling me the tow was around the corner so the last time I told them to stay on the line until the truck got there, if it was around the corner! The second time I called for a tow truck around 7am on Tuesday morning. They told me a tow truck would be there in 2 hours, it took 5 hours! The tow got there at noon. I called them a few times and they kept telling me it would be there in 20mins, half an hour, etc. When the driver finally got there I asked him and he told me they’d just called him a few minutes before. So, somebody was lying. Based on the 2 instances I’d say CT was lying. I have already had enough of their crap and I’m considering making a switch as soon as my membership is up. I wouldn’t advise anyone to sign up with them. I’ve been told CAA is faster and more efficient.